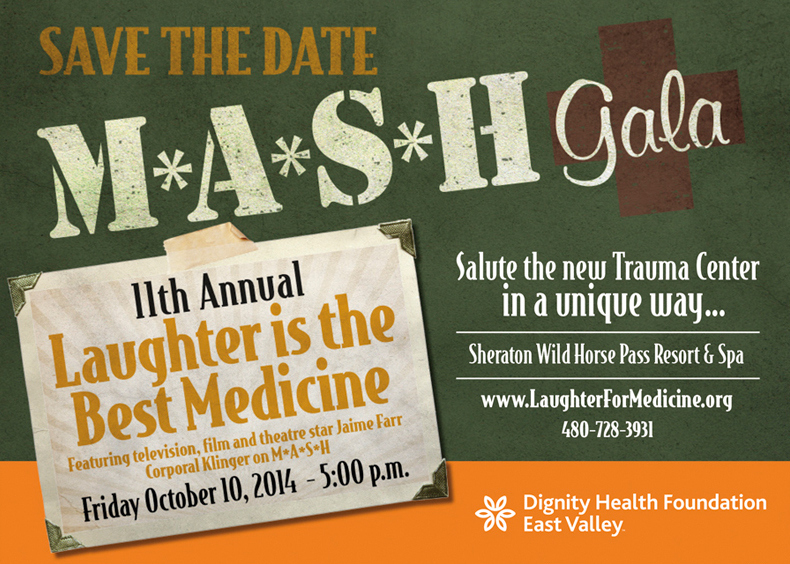 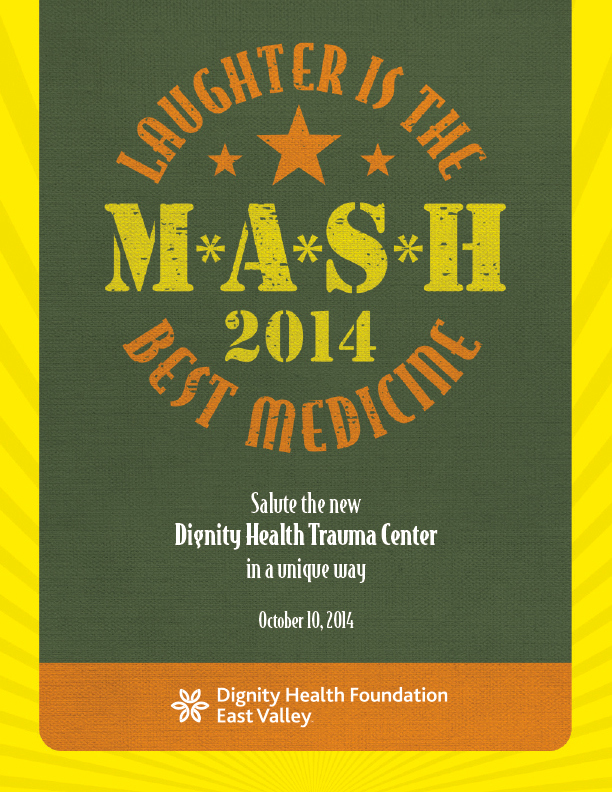 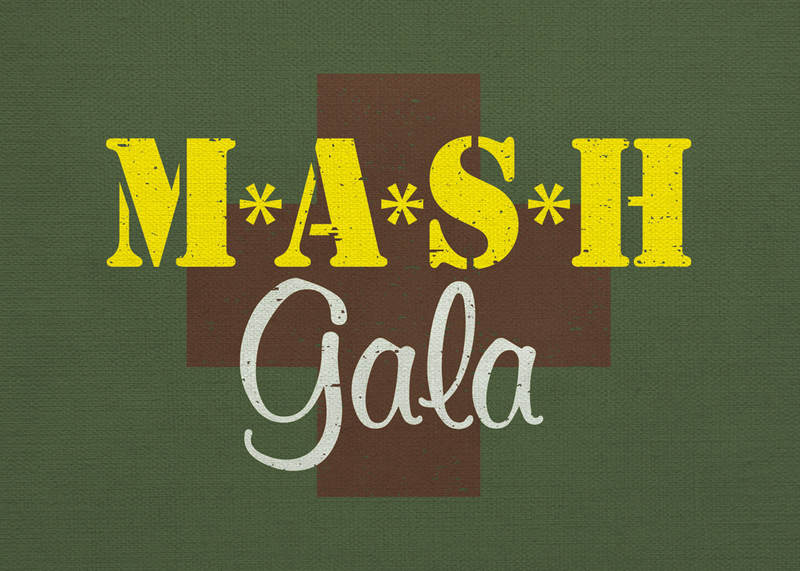 Annual Laughter is the Best Medicine event hosted by Dignity Health Foundation - East Valley. 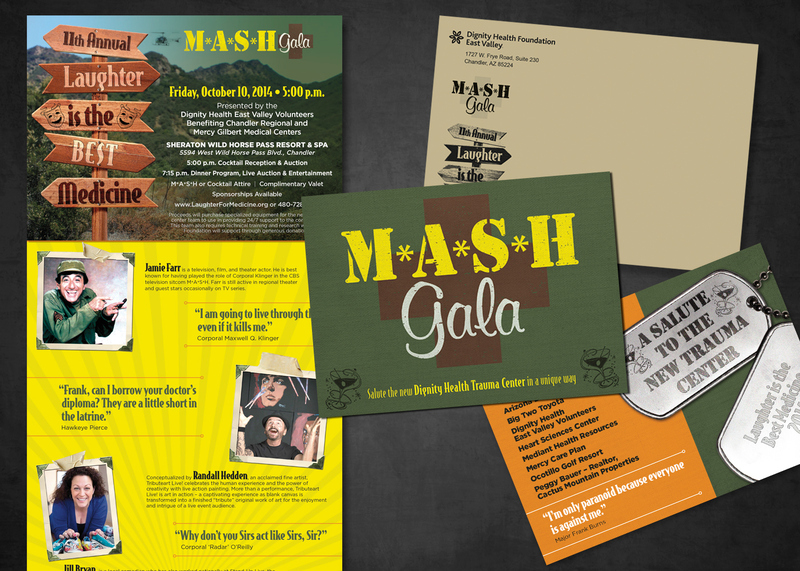 Green Media Creative designed all of the event graphics including a theme logo, invites, posters, signage and event program. 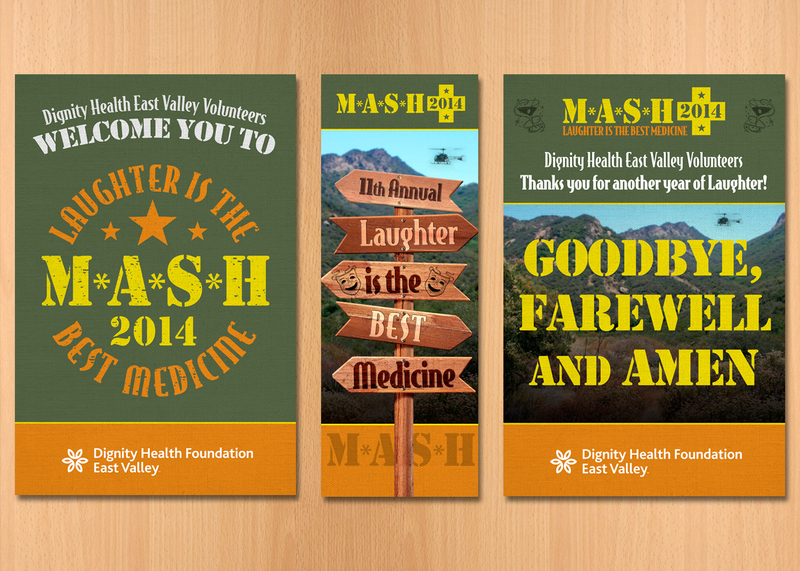 The invite was designed as a vertical trifold at an A7 size. 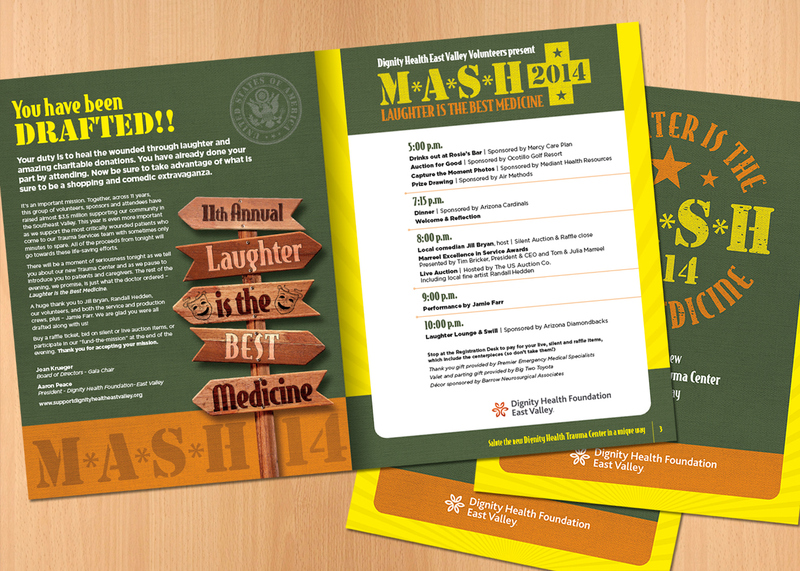 The program for the event was a 12 page letter size in full color and saddle stitched. 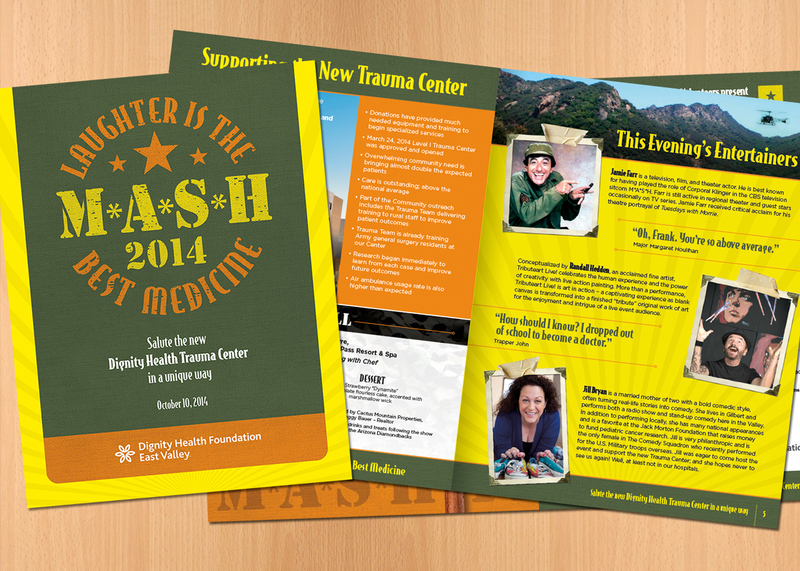 Signage for the event included several 24x36 posters and large format popup banners. 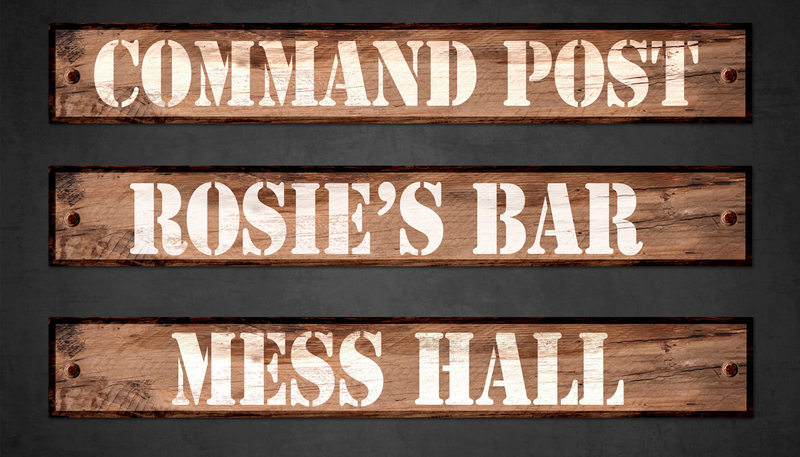 Printouts of wooden signs were also designed for entryways and activity areas.